Continuing with the post I made several weeks ago about my Teen Summer Reading Program crafts-- I present the Matchbox Louvre. I was inspired by the concept of teeny-tiny crafts called matchbox shrines or pocket shrines. It's a great craft idea that can be adapted to any theme- I did a Twilight-themed version for a Breaking Dawn party back in 2008. 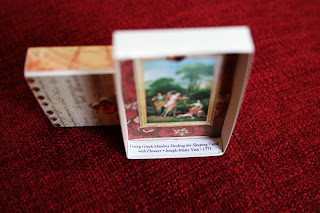 Since I'm centering each of my Summer Reading crafts around a different region of the world to go with the "You Are Here" theme, I thought these miniature works of art would be the perfect showcase for more famous works of art-- from France! After all, when you think France, you think Paris... and when you think Paris, you think the Louvre. Well, actually, I think of delicious pastries when I think of Paris, but there's that whole "no food in the library" rule, so... art it is! I bought the matchboxes on Amazon from a seller called Party Favors Plus, and all other supplies came from my local Michael's. 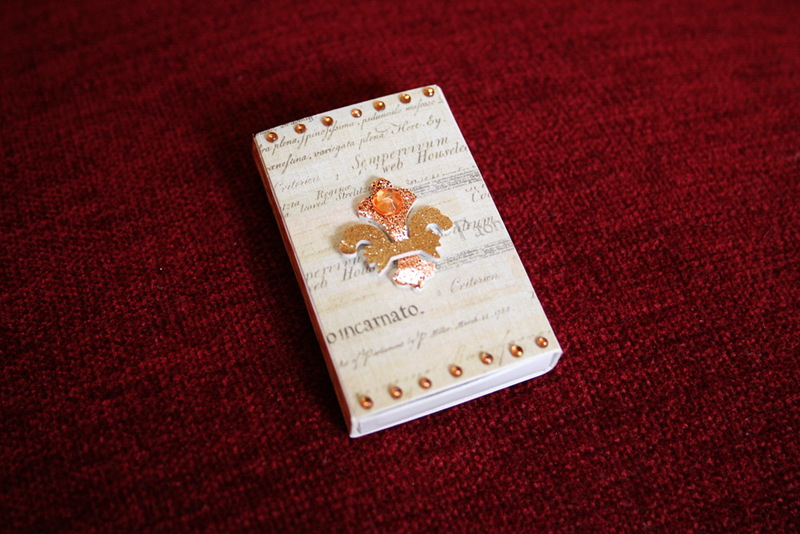 I bought scrapbooking paper (they even have small books of 5x5 papers, perfect for the diminutive size of this craft! 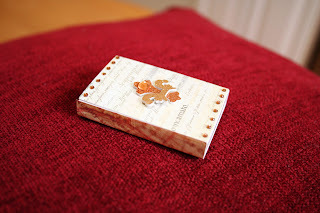 ), Mod Podge, and plenty of adhesive sparklies. By the way? It bears mentioning that when working with Mod Podge or any other type of glue, always dole it out in small containers for the teens to work with. Never put out the entire container. Just, um, trust me on this. Creating this craft was fun! 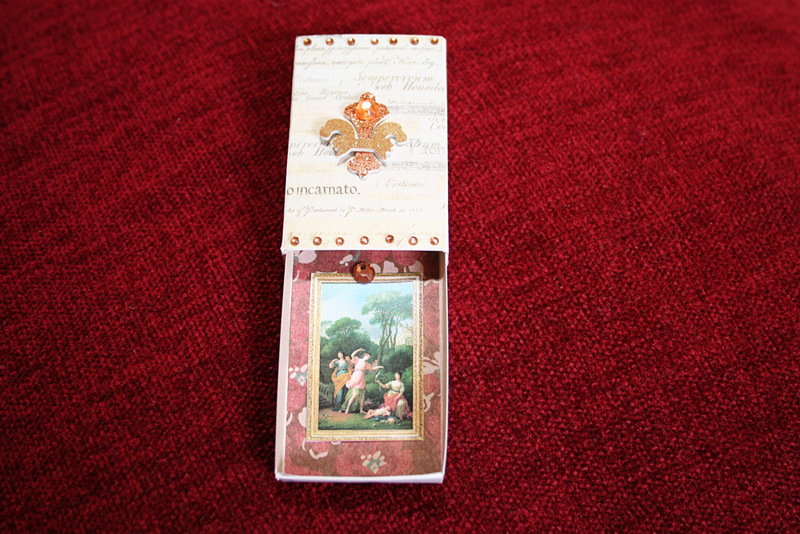 I covered the front of the box with a piece of scrapbooking paper and then decorated with adhesives. The matchbox slides open to reveal a tiny work of art. I printed out selected images from the Louvre's online gallery of paintings that the teens can choose from. I finished up by covering the back and sides of the box with a vintage map of Paris. In addition to a few different maps, I'm offering the teens various images of antique French stamps, and photos of famous spots in Paris to chose from. 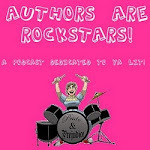 The images come from Microsoft Publisher's clip art or flickr's Creative Commons photos. I can't wait to see the results of this craft. 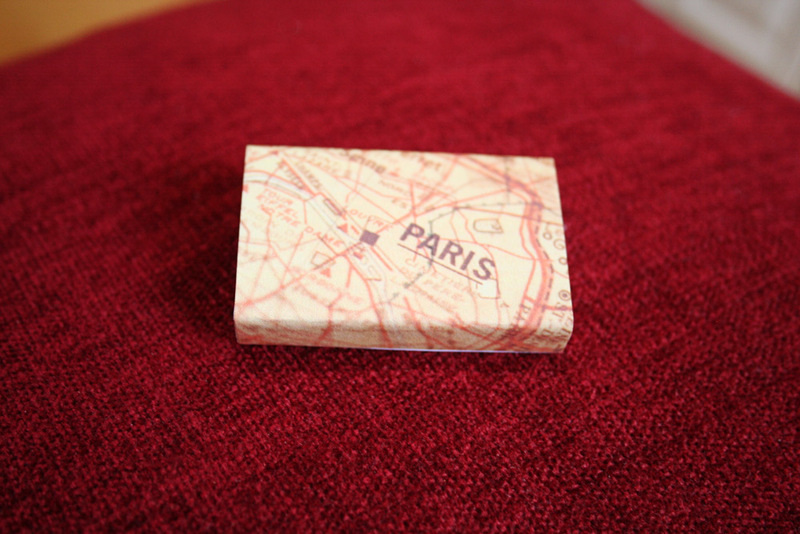 Teens are always so creative-- each little matchbox Louvre will be unique. I know not all teens are into art or museums, but I think the lure of creating and customizing an adorably tiny craft will have wide appeal. And if nothing else, there are the adhesive sparklies to play with! You can never go wrong with sparklies. This is so awesome! Are you going to post any of the results? 'Cause that'd be lovely. Thank you! I agree, it would be fun to share what the teens come up with. If I manage to snap some shots of the results, I'll definitely share!